For the past year or so every time I went to my doctor for anything, he would make the observation that my thyroid was enlarged, yet test always showed my thyroid was fine. I have some weird things going on such as hair loss (not alot but enough to clog my sink), sense of smell is heightened, weight gain, muscle/bone aches. A couple of weeks ago I went in for my routine cholesterol test but saw a different doctor because mine was on vacation. She tested my cholesterol, vitamin d, and thyroid. Thyroid again normal, cholesterol again high and Vitamin D Level was 7 ! I was put on 50,000 IU a day for 2 weeks then 50,000 every other day for 2 months. Could my symptoms, including enlarged thyroid be because of my vitamin d deficiency? Should my doctor do any other tests? Is 50,000 IU a lot? I'm glad that your doctor found out about your vitamin d deficiency (finally!). 50,000 IU's IS a lot, but your vitamin d level is very low and your doctor is just being 'aggressive' in her treatment. As long as she is retesting your levels in 3 to 4 months, that dosage is fine. 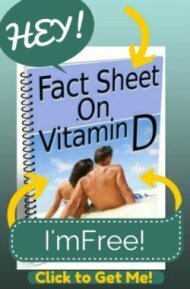 The only comment that I would make about it is that she is using prescription vitamin d. So, please read my page about Prescription Vitamin D to see why that is NOT the recommended form of vitamin d that you should be taking. 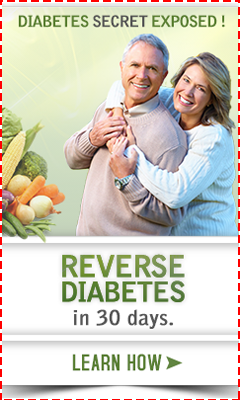 Ideally, you will replace that prescription with the same dose of Vitamin D3 Supplements - a MUCH better choice. So, as far as your thyroid is concerned, no I do NOT think that it is a result of the Vitamin D Deficiency, but rather an iodine deficiency. An enlarged thyroid is called a 'goiter'. While the typical goiter that you see in National Geographic in third world countries is shown as a GIGANTIC neck, an enlarged thyroid is an enlarged thyroid and you STILL have a 'goiter'. But for some reason, even though research shows that well over 90% of the population is iodine deficient, doctors somehow believe that all of us have adequate iodine levels- even though you have the 'classic' symptom of iodine deficiency. This is the medical equivalent to a child presenting to the doctor with rickets and the doctor not checking a vitamin d level, sending the child home and saying that they will 'keep an eye on it'! You very much should get the book, 'Iodine- Bringing Back the Universal Medicine'. You'll be SHOCKED to find out how negligent your doctor is to allow you to go around with a goiter without treatment for it or even checking you for iodine deficiency!! So, I recommend that you read the book CAREFULLY and then get a bottle of the Nascent Iodine that Dr. Sircus recommends. It's not likely that you are going to hear about iodine deficiency ANYWHERE else, as simply no one is talking about this deficiency- yet!